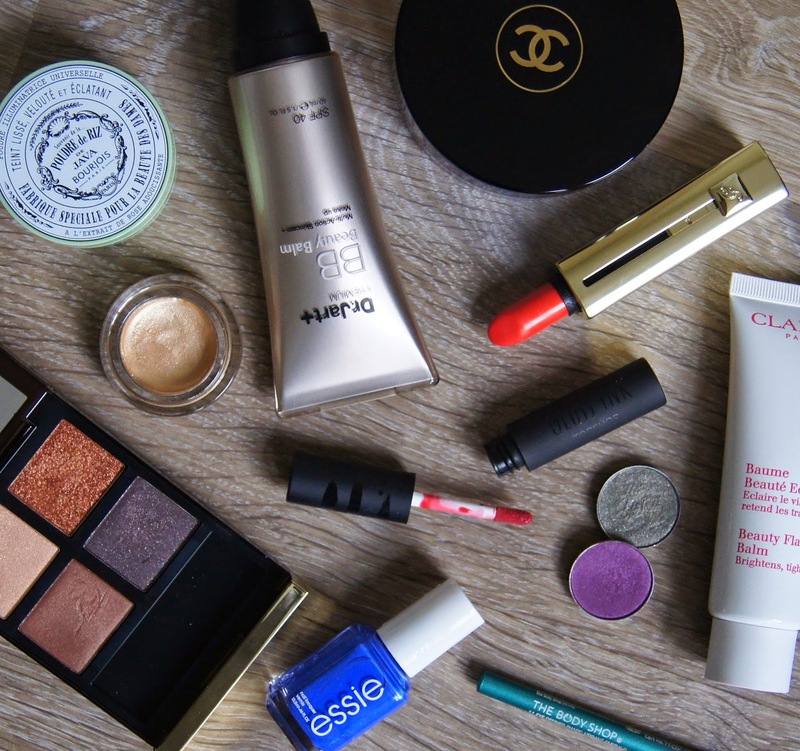 So Summer is finally here and it's time to mix things up, beauty wise. To make the transition from Spring to Summer, there's a few makeup trends that you can incorporate into your look, bringing you right up to date. First up is a trend that is not only refreshing, but practical. The Summer heat, direct sunlight and revealing a little more skin, means that your complexion needs to look natural, match the rest of your body and not be caked in layers of thick, clogging foundation. Everyone's different, but I like to strip my base right back at this time of year, although I do still need something to boost my complexion, just so I don't scare anyone. To get the ball rolling on raising my radiance levels, I like to start with a primer that adds luminosity. One of the most glow-giving primers that I've come across, especially at a lower price point, is the M&S Autograph Instant Radiance Primer. Light and hydrating, it does exactly what it says on the tin. Ideal for drier skin types, this primer drenches the skin in reflective particles, giving an extremely dewy effect. It's hard to know how it works, seeing as it's totally free from any shimmer. Giving a nod to the higher-end spectrum, it wouldn't be fair to omit the classic, cult-favourite Clarins Beauty Flash Balm. Concentrating on firming and plumping the skin, this primer adds radiance in a less obvious, intense way. This may be a better bet for you if you have oilier skin, as it feels and looks less sheeny. The trick with all primers, but this one especially, is to smooth the product across the skin and not rub or massage too much. Creating a uniform canvas, foundation, concealer and any other base product sits so well on the skin, giving a flawless face. Moving onto coverage, I start by using a sheer base all over, as a light veil to even everything out, before following up with a full-coverage concealer across small areas to brighten and blur imperfections. This way, your skin, freckles and any beauty spots you may have can shine through and give that effortless, but blooming' beautiful look. Tinted moisturisers, and their fancier sisters, beauty balms, give the skin a lot more than just a surge of hydration, providing protection from the sun, a hint of colour and a natural, satin, matte or dewy finish, depending on the one you choose. 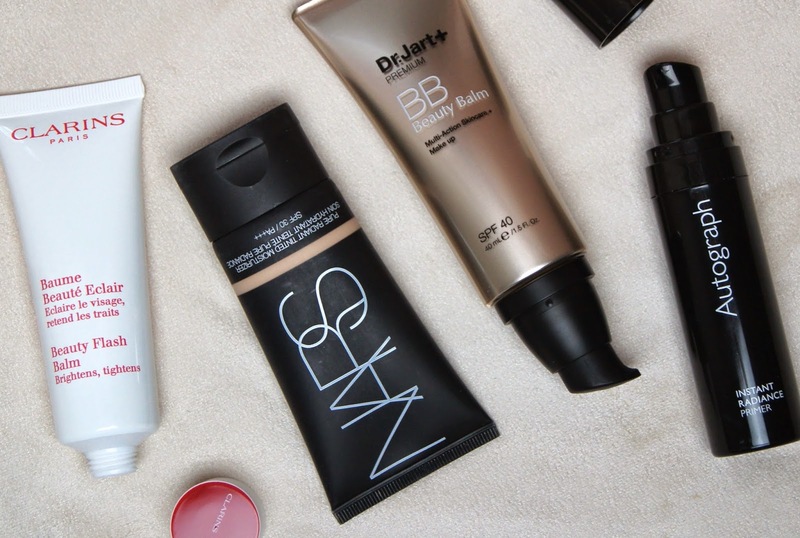 One of my favourites, is the Nars Pure Radiant Tinted Moisturiser. As the title suggests, this refreshing base brightens skin and leaves it feeling soft, plumped and fresh. Whilst it adds radiance, it has a barely-there, weightless texture and a satin finish. Giving just enough coverage, without tipping over the edge, this is a great option if the thought of going out without any slap on makes your palms go all sweaty. Nars have a great colour range too, so if you struggle to find a shade light or dark enough, then this is one product to go and swatch. On the cheaper end of the market, is the Dr Jart Premium Beauty Balm, which is my favourite from the range of four. As you apply this cream, it literally feels like you're just putting a moisturiser onto your skin and it's only after you've finished that you notice the true difference it's made. Although the one-shade-fits-all colour appears rather dark and ashy at first, it adapts to your skin tone and suits me whether I'm at my palest, slightly sun-kissed or covered in lashings of self-tan. Though, I would say that it's more pink-toned than yellow-toned. Thicker than the Nars tinted formula, this cream feels much more dewy, rich and nourishing on the skin. I'd say that the coverage isn't as high, but it's great for no makeup, makeup looks and is the perfect start to the rest of your makeup. 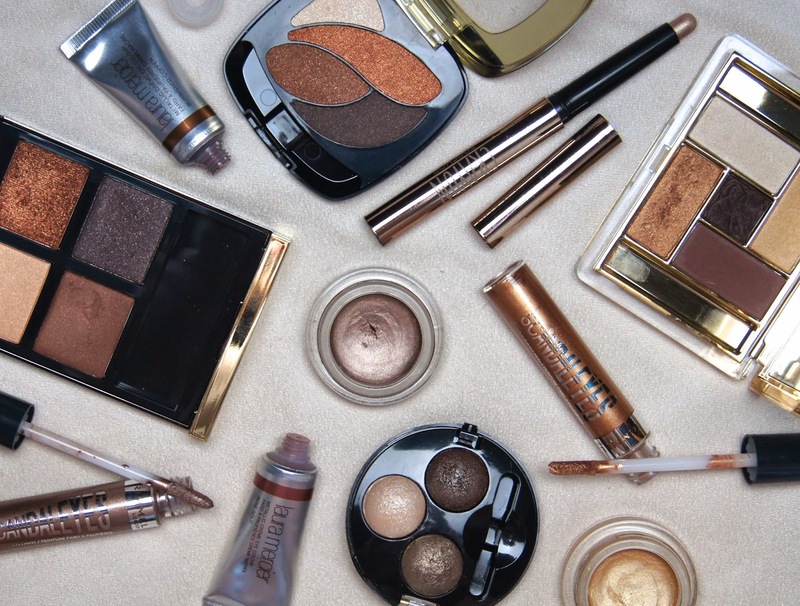 The ultimate beauty trend during Summer, is, of course, the bronzed goddess. Rich, warm tones that sculpt and add a healthy colour to the high points of the face, are always going to be bang on trend. Summer wouldn't be the same without it. 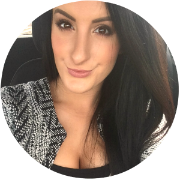 Unfortunately, the perfect, deep, even tan can be difficult to achieve and some of us need a helping hand from a serving of self-tan and bronzer. Beats your skin resembling an old, leather couch after years of worshipping the sun or risky sunbeds, when you're older though, eh? During Summer, I move away from using bronzers to contour and lightly sweep my brush across my cheeks, forehead, chin, temple and down my nose, where the Sun would naturally catch. If you fancy ramping up that glow a notch further, the Nars Laguna Bronzing Powder is a beauty buff staple and a product that always hits editor's top-ten lists. Infused with a very fine, golden shimmer, this bronzer leaves skin with gorgeous, subtle sheen. 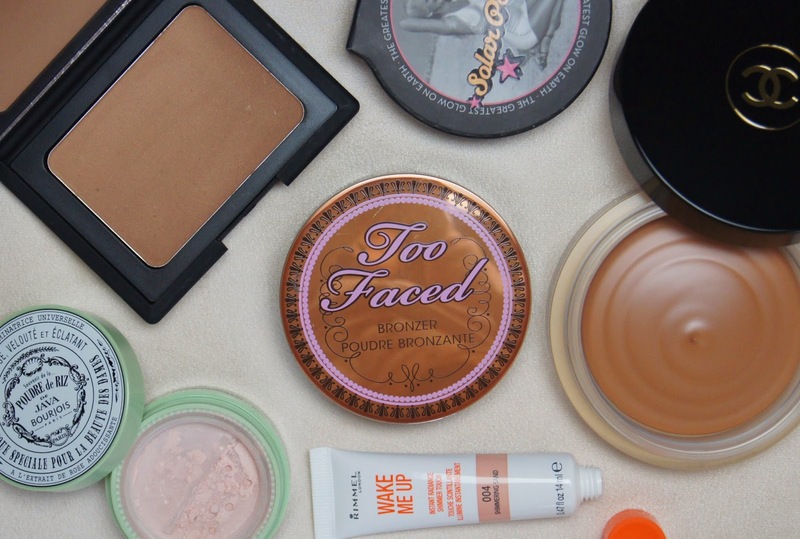 The Soap & Glory Solar Powder is genius and comes at a more purse-pleasing price. Combining two, bronzer shades, one lighter and one darker, you can customise your own colour. The powder is velvety soft and the lighter shade has a humble helping of golden shimmer, which all adds to the lustrous look. When my skin is feeling particularly parched, or I fancy switching things up, I reach for my Chanel Soleil Tan de Chanel Bronzing Base. This a hotly-debated product and I have to admit, this is a love/hate product for me as, when I'm at my palest, it does lean slightly orange. But, for the most part, it's amazing. Somewhere between a cream and a mousse, the texture is light, smooth and looks so flattering and natural. Plus, you can use it in a variety of ways, either alone, underneath your foundation or on top. Last, but not least, if you're heading to the beach/pool and still want to top up your tan, the Too Faced Aqua Bunny Cream Bronzer will keep you from worrying about makeup meltdown, if you get wet. Being water-resistant, if you get a bit hot and bothered in any humidity, sweat won't leave your bronzer all patchy, either. Plus, it smells like chocolate. The only downside is that it's fairly dark and can look muddy if you're very pale, but giving it a good, ol' blend should sort it out. Highlighters add another dimension to that signature, sultry look. Applied to the cheekbones, brow bone, bridge of the nose and cupid's bow, you're left with a glossy, polished finish. Rimmel's Wake Me Up Instant Radiance Shimmer Touch has a hint of rose gold to it. The golden shimmer is so finely milled, this highlight gives cheek a wet-look shine. If you want something a little more subtle or have particularly oily skin, Bourjois' Java Rice Powder adds a beautiful, ethereal glow to the cheekbones. It's not as full on as most highlighters, as it is made to be used across the entire face, but, at this time of year, I think the shimmer can be a little too obvious all over. The powder itself is a very pale, cool, baby pink shade, making it the perfect highlight for lighter skin tones, but it can look slightly ashy if used heavily on darker complexions. Another staple trend that crops up time and time again for this season, is the bright, bold lip. There's still an orange-toned theme around and I'm definitely not sad about that, but any bright lip looks amazing in the sun, either on holiday, or at home. If it's glossy, that's even better, in my book. If you want a long-lasting option, then the Topshop Gloss Ink gloss/stain hybrids will float your boat. 'Sugar Rush', a bright, warm, coral pink is my pick. Lightweight, the glossy finish is hydrating, without any stickiness, whilst the stain element ensures that the colour lasts. 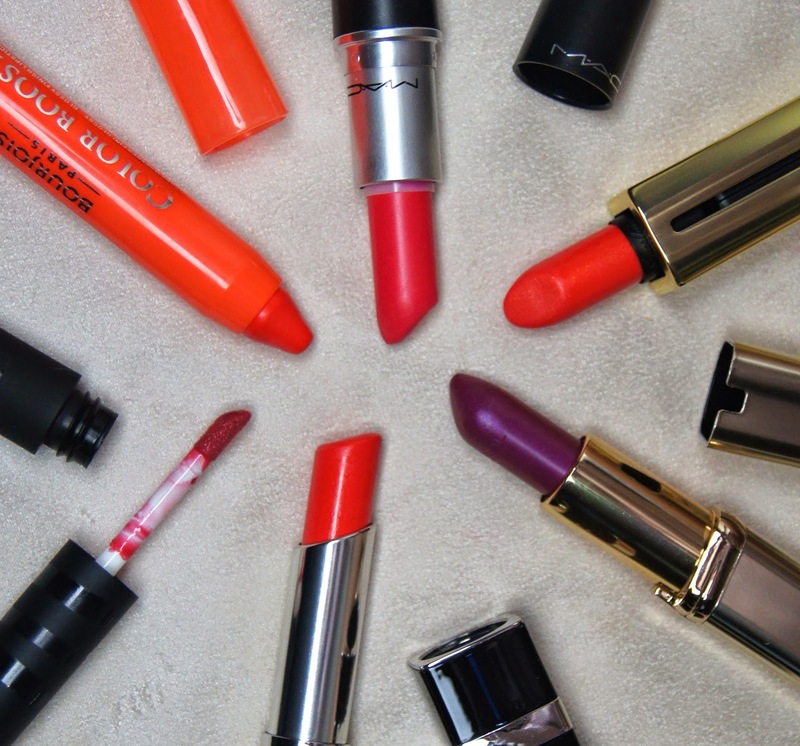 You can't get much brighter and in your face than the almost neon, coral-fuschia, MAC Impassioned Lipstick, which should be a Summer staple in any makeup bag. Having an amplified creme finish, the formula is creamy, sheeny and opaque, thanks to some super strong pigment. As a result, they stick around for a fair, few hours before a top up is needed. Bourjois' Colour Boost Glossy Finish Lipstick in Orange Punch is a firm favourite of mine, for a sheerer surge of peachiness. A speedy swipe of the lip crayon leaves an ultra-glossy, wet look that isn't at all tacky. Any touch ups are fast; no mirror necessary. Shimmer can look too obvious in direct sunlight, but the subtle, golden trace running through Guerlain's Shine Automatique Lipstick in 240 Pamplelune gives a juicy, plumping effect. The melon shade has warm undertones that flatter all skin tones. The only problem with the lightweight formula, is that you can feel the grainy texture of the shimmer when pressing your lips together, but it isn't uncomfortable. If you'd prefer a shimmer free alternative that has that same, cantaloupe colour, then take a look at Dior's Addict Extreme Lipstick in 639 Riviera. Dior are by far my favourite lipstick brand, as the formulas are just perfect and this one is more than up to scratch. Moisturising, the finish smooths the lips and perfects the pout. The vibrant shade translates as much softer once on the lips and adds a healthy glow to the complexion. If you tend to shy away from bold, bright lip colours, this is a sheerer lipstick that can help to build your confidence. Last but not least is Loreal Color Riche Lipstick in 402 Electric Fuchsia. As worn by Cheryl Cole Fernandez-Versini many moons ago, this deeper, magenta shade is a little different for the Summer months. Full of fuchsia flecks, the purple tone looks amazing with a tan. It may not be as hydrating as the rest featuring in this lineup, but the formula wears well and it's a cheap and cheerful option, too. To compliment tanned skin, bold accents of colour and to generally keep with the bronzed theme, eyes look amazing with flashes of metallic tones across them, this season. Palettes that have a plethora of possible looks in one, handy compact are ideal for any traveling you might do. Whilst it may be extortionately priced, the Tom Ford Cognac Sable Eyeshadow Quad is an absolute beaut. Having a buttery quality to them, each shadow feels and looks like silk. Blending like a dream, the shadows have such an intensity and depth to them. They may blow any budget, but the quality is like no other. On a cheaper scale, but keeping the quality high, is the Loreal Color Riche Les Ombres Smokey Eyes Palette in E3 Infiniment Bronze, which contains shades which are almost a carbon copy of TF's creation. For a fraction of the price, you get some cracking dupes with great pigmentation, but the formula is slightly chalkier and the glitter isn't as finely milled. Another similar palette to note is the Estee Lauder Pure Color Eyeshadow Palette in Bronze Dunes. Containing lighter, more yellow-toned shades, this can create both subtle, daytime looks, as well as adding drama to the eyes for the evening. The darkest, liner shade, has a gel-cream consistency, that allows you to easily achieve a smooth, sharp flick or smudge around the edges of the eye, to suit your taste. Fancy a bit of duo-chrome? The MUA Trio Eyeshadow in Innocence, includes some unusual, metallic shades and a few dupes of its own. The muted, antique gold is a MAC 'Patina' clone and the darkest, green/brown shade is an almost identical replica of MAC 'Club'. As MUA is one of the cheapest, drugstore brands, this trio is an absolute bargain. The baked eyeshadows may need a primer underneath them to make them last and the formula can be a little dusty, but if you take the time to work with them, they look just as good as any other brand's variations. If you really want to up-the-ante and go all out with a wet-look shine, cream shadows are the formula to go for. You don't have to worry about creasing or fading throughout the day with the Maybelline Color Tattoo 24hr Gel-Cream Eyeshadows. 05 Eternal Gold and 35 On & On Bronze are both stunning, cool-toned options. The gel formula has such a light, smooth consistency, but you need to work quickly, as once they've set, they won't budge until you remove your makeup. If you blend these creams out with a brush, the colour gets diluted very quickly, so I find it best to smudge them with my fingers, instead. As with any pot product, make sure that lid is tightly shut, or the cream will dry out in a measly, few months. The Laura Mercier Metallic Creme Eye Colours are also great to give eyes impact. The tiniest dab of product gives you tonnes of colour in just one coat. My favourite shades from the line are 'Rose Gold' and 'Burnished Copper', which are both rich and transform as light hits them from different angles. You do get some creasing with these shadows, if used without a primer especially, as they don't fully set into place. I personally quite like the lived-in, grungy result, but each to their own. You can prevent that by taking the time to really prep the lids and touch up throughout the day if it's a special occasion, for example. They may carry a hefty price tag, but one, tiny tube will last a lifetime. If you want something that resembles molten metal, then the Rimmel Scandaleyes Eyeshadow Paints in Golden Bronze and Rich Russet make a real statement. Thinner in consistency, these paints blend well and the sponge applicator makes things less messy. Blended out, they're very wearable for daytime, but layered up, they look like liquid ore. Like Maybelline's shadows, once set, they won't smudge or crease, so you need to work fast with them. Probably the easiest of them all to apply, is the Topshop Cream Eyeshadow Stick in Equinox. The creamy, champagne crayon glides on and all it needs it a swipe of the finger to blend it out. Simple. It is easy to apply too much with the soft, rounded tip, though, giving you clumps of glittery gunk clinging to your lids, if you aren't careful. Hints of purple and blue variants are making an appearance, too. Whether it's a coating of cerulean on the nails, a trace of lavender liner or a sweeping of sapphire on the lids, there's a tonne of wearable shades and ways to incorporate colour into your makeup, out there. My favourite way of adding colour into my look, is to use my nails, especially when I'm not feeling brave enough to sport such an intense shade on my face. Essie's Butler Please is a vibrant, cobalt blue. The creme formulation is smooth and gives a perfect, fully opaque look in two coats. Leighton Denny Pillow Talk is one of my all-time, nail polish must-haves. The gel-like, glossy finish is a slick dream and the rich, raspberry-plum, berry shade is just beautiful. If you don't want such a bold, block of colour, then you could go for a super shimmery shade, such as the MaxFactor Sunny Pink. The Max Effect polishes are very thin in consistency, without being wishy-washy. The colour spreads evenly across the nails and leaves a flawless finish. But, the colour is sheer and needs a neutral, base colour underneath it for the shade to really come alive. If you like glitter, then Models Own are the brand to turn to. Mermaid Tears has shards of reflective glitter that turn blue/purple/green when the light catches them, all suspended in a transparent, purple base. Again, this is a varnish that looks most effective when paired with another shade as a base coat. But, it's a great way to add something special to a plainer polish. Purple shadow around the eyes can be show-stopping, especially in the evenings. 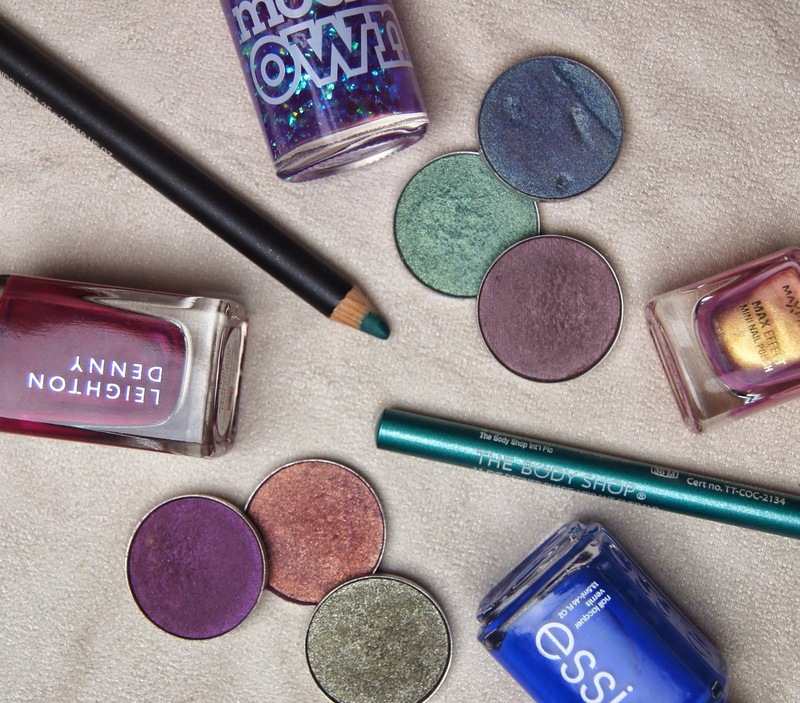 If you don't tend to wear bolder colours on your eyes very often, then buying individual eyeshadows saves you money and lets you create your own eye look. MAC eyeshadows are some of the best in the business and have an insane amount of variations of every colour under the sun. Shale, Trax and Nocturnelle are my top purple, picks that I group together to create a purple haze whenever I decide to go all-out on my eyes. If it's a shot of blue I'm after, then I'll opt for Greensmoke, Steamy or Tilt. A swipe of coloured liner across the bottom lash-line, or on the waterline, can really make eyes stand out further and it's more subtle than using bright eyeshadows. MAC Minted Eye Kohl is a deep, teal liner that has a pearlescent finish to it. As it's a kohl pencil, the formula can easily be smudged and blended, but it isn't so creamy that it gets messy or slides around. Another gorgeous, blue number is The Body Shop Metallic Eye Definer in Vibrant Emerald, a lighter, super sparkly, turquoise shade and not so much of an emerald, in my opinion. Full of silver specks, this liner glimmers in the sunshine and makes eyes look so much bigger and brighter. Hello, I wanted to ask, what colour have you used with MAC TILT to get a dark bluey purple please?